The bystander’s question was a fair one, especially given that in 1787 monarchs held power in almost every corner of the world. King Louis XVI still reigned in France. King Carlos IV ruled Spain—and most of South America. Queen Maria sat on the throne of Por­tugal, and King Frederick Wilhelm III wore the crown of Prussia. Czarina Catherine the Great had recently expanded Russia’s border sat the expense of the Ottoman Empire, which was led by Sultan Abdülhamid I. Shogun Tokugawa Ienari presided over Japan, and in China the Qianlong Emperor was fifty-one years into his sixty-one-year reign. Meanwhile, in London, King George III was not yet halfway through his six decades on the throne of the United Kingdom. America was unique. Its soldiers had fought from Lexington to Yorktown to defend their homes and their rights against monarchy. Its citizens were governed by state legislatures, elected governors, and representatives in Congress. And its most basic creed held that individuals should be subject only to the rules of lawmakers chosen by the people. So it was no surprise that the government designed during that Philadelphia summer in 1787 would be ruled not by a prince but by the people — ”We the People” would be in charge. Radical as it was — in every other continent in the world—to propose that men could govern themselves, it was, in the United States, almost taken for granted. The issue in doubt was not, as Franklin’s questioner asked, whether the convention’s delegates would create a republic. The real question, as Franklin noted, was whether they could design one that would endure. The convention’s delegates had been sent to Philadelphia to do exactly that, and at the heart of their design was Congress. That’s why the first section of the Constitution’s first article provides that “All legislative Powers herein granted shall be vested in a Congress of the United States, which shall consist of a Senate and House of Representatives.” That simple sentence captures, more than any other, the audacity of the American experiment and its break with millennia of pharaohs, despots, and divinely inspired potentates. It was no accident that the framers made it first in the structure of the new Constitution; they saw it as first in importance to the new re­public. The founders did not take their task lightly. Their revolutionary experiment in self-government might, they had to admit, not work. But it was worth the gamble because the alternatives were too terrible to contemplate. Freedom itself depended on an elected legislature of citizen lawmakers who would be accountable — directly in the House, indirectly in the Senate — for the people. 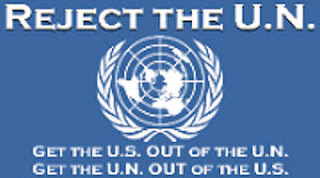 They understood that “We the People” would never truly be free unless we retained control over the branch of government responsible for making laws. It was not enough that some of this legislative power be vested in a Congress whose members would stand accountable to the people at regular in­tervals. It was necessary to give Congress all legislative powers. For nearly a century Washington has been sapping Congress of the legislative powers guaranteed by the first line of Article I and creating what Madison warned against: “a gradual concentration of the several powers in the same department.” This chapter tells the story of how we got here—including the Constitutional Conven­tion’s resounding rejection of the brilliant but misguided Alexander Hamilton’s proposal for an American king and ending with short­sighted choices by Congress, the courts, and even the citizenry that have combined to undermine the first article of the Constitution and produce something very much like a monarchy. Since the advent of delegation to executive agencies, this cycle has repeated itself hundreds—perhaps thousands—of times. Congress­men claim credit for passing a statute with lofty promises, such as stabilizing the market for farmers. Then, in the face of their constit­uents’ criticism of an agency-made policy that harms them by ful­filling those promises, congressmen criticize the policy without having to actually vote against it. Consider the costs of reducing air pollution. The Environmental Protection Agency’s clean-air regulations cost Americans tens of billions of dollars every year. They result in higher electric bills; fewer jobs and lower wages for coal miners, car makers, and other workers; and less value for anyone who has invested (either directly or through a mutual fund or retirement plan) in a company that pro­duces or uses energy—in other words, almost any company in America. For good reason, we as a society have decided that this price (that is, the price of clean air) should be paid. But in imposing these bil­lions of dollars of costs, there are countless difficult decisions to be made—decisions that inevitably involve a balancing of the costs and benefits of each possible restriction and culminate in a determina­tion as to which costs are worth bearing and who will bear them. New power plants or old power plants? Car owners or electricity users? States that rely on coal or states that rely on natural gas? While promising to reduce air pollution, the Clean Air Act an­swered almost none of these hard questions. It simply told the EPA to put whatever limits on pollutants the agency deemed “requisite to protect the public health” with an “adequate margin for safety.” Hardly anyone was against this law—until they became the ones who had to pay for it. Among the most enthusiastic advocates for the law were New York’s liberal congressmen and their constituents. Opposing the bill before its passage would have been outright heresy at an Upper West Side cocktail party. But several years later, when the Clean Air Act was used to impose tolls on New York City’s bridges in order to increase funds for public transportation, city dwellers balked. Sure, people in New York City wanted less pollution. Sure, im­proving mass transit would reduce automotive pollution. But tolls on bridges? That was going to hit New Yorkers right in their pocket­books. After all, they lived on and around an island; how dare any­one charge them money to cross a bridge! Of course, the tolls were the result of the law that New York City’s congressmen had championed. If liberal legislators had voted against the Clean Air Act, they might well have been voted out of office for opposing it. But by declining to make hard choices in the act, Congress had empowered others to make those choices. And when those choices were made in a way that hurt those leg­islators’ constituents, the congressmen feigned outrage. They even marched in protest across the Brooklyn Bridge. Only in the bizarre world of delegating legislative powers could members of Congress lead a march in protest against the consequences of a law they voted for. 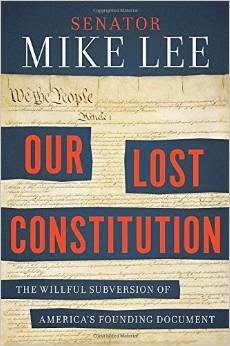 Reprinted from “Our Lost Constitution“ by Sen. Mike Lee (R-UT) with permission of Sentinel, an imprint of Penguin Publishing Group, a division of Penguin Random House LLC. Copyright (c) Mike Lee, 2015. 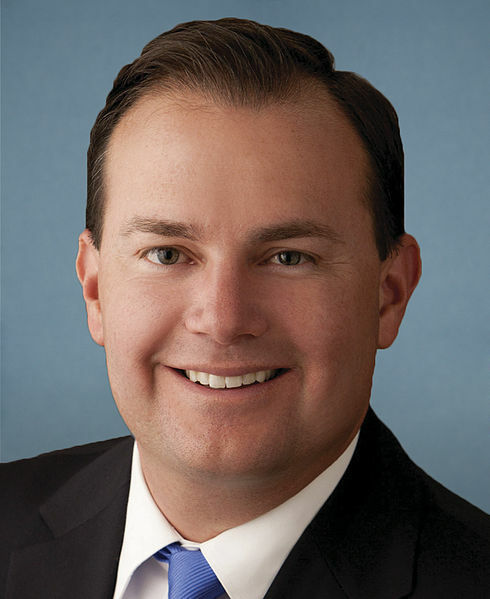 Tags: Senator, Mike Lee, Our Lost Constitution, founders feared, non-elected making laws, Congress, Constitution, Our Lost Constitution To share or post to your site, click on "Post Link". Please mention / link to the ARRA News Service. and "Like" Facebook Page - Thanks! Unless courageous patriots step forward and defend the constitution, it will lose its ability to defend our rights.